Home > Technology > What Are The Advantages Of Facebook? What Are The Advantages Of Facebook? Facebook, arguably the most famous social networking site, comes with its own pros and cons. 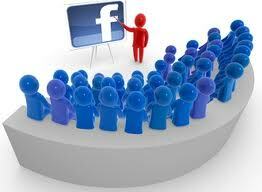 Here in this article, I will try to show some of the advantages of Facebook. Facebook has helped to create a brand for many individuals and businesses. Moreover, it’s a major source of entertainment for people around the globe. Since Facebook is a global social networking site available in various parts of the world, location is not a barrier. Hrithik Roshan 3rd and Salman Khan 6th most handsome face in the world! Prawin | Official Blog™ © , All Rights Reserved.